In game development time frames can change pretty quickly, so this should be taken as a soft schedule rather than hard fact. Further, Barone has released pictures of 4-player Co-Op (via LAN) recently, which can be found here as well as below. While this news is exactly what we here at Co-Optimus like to hear, the inclusion of Co-Op is set to be a PC addition first before coming to consoles. Stardew Valley is a wonder project from Eric Barone (on Twitter @ConcernedApe) working alone on a game which, after a PC launch, found its way onto Nintendo Switch, Xbox One and PS4, thanks to publisher Chucklefish. The game focuses on the player moving to a town, rebuilding an old farm, and helping the city. If you like the feeling of Harvest Moon or Animal Crossing this game (especially with Co-Op) is a must. 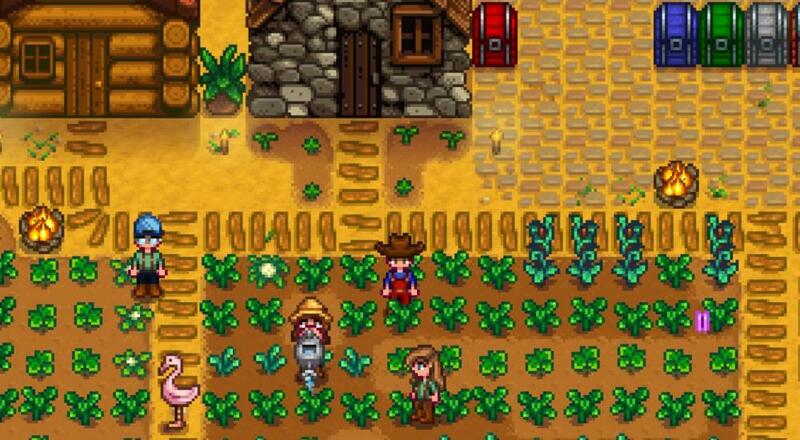 Will you be picking up Stardew Valley once you can farm with friends, or have you (like me) spent a ton of time in the game already and should probably tend to your real-life plants before they die again this year? Let us know in the comments below! Page created in 1.0894 seconds.